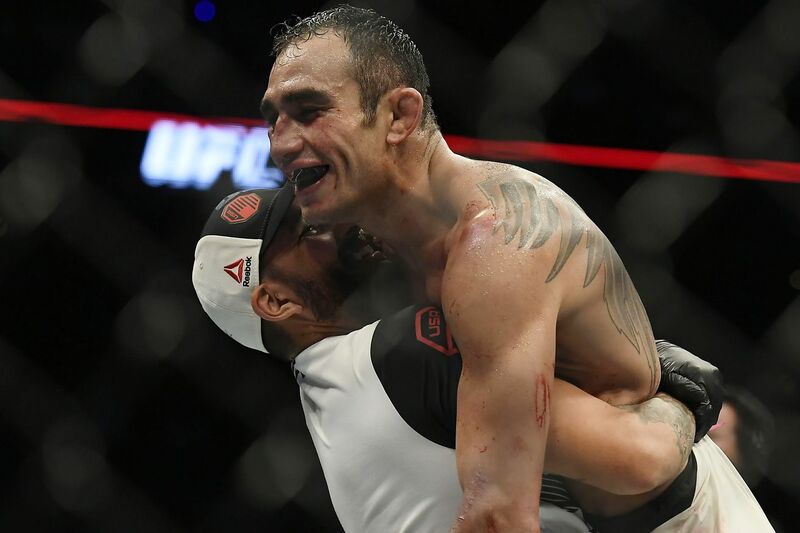 Ultimate Fighting Championship (UFC) lightweight contender Tony Ferguson is not mad at Khabib Nurmagomedov after “The Eagle” was hospitalized and pulled from their 155-pound interim title fight at UFC 209, set for this Saturday night (March 4, 2017) in Las Vegas, Nevada. Even after this … and this. “El Cucuy” was hoping to use this bout to catapult himself into a Conor McGregor title fight later this year, after “Notorious” was done changing diapers and flirting with boxing legend Floyd Mayweather Jr.
No word yet on the condition of “The Eagle,” or what UFC has in store for either fighter moving forward.